WHY CHOOSE THE NEW LEGACY II model? 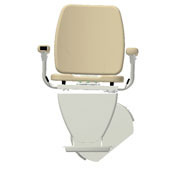 Additionally, the Legacy II model has the best warranty in the industry by far! 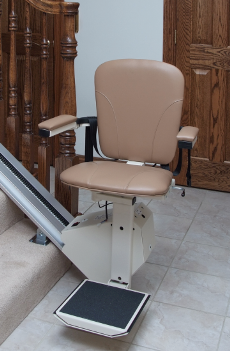 The Legacy II Stairlift is designed for self-installation, resulting in significant savings. Small, lightweight chassis weighs only 40 lbs! *Plus shipping. 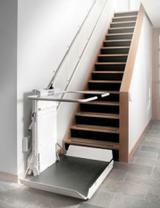 Stairways longer than 14'-5" require an additional charge. Please ask for custom quote.